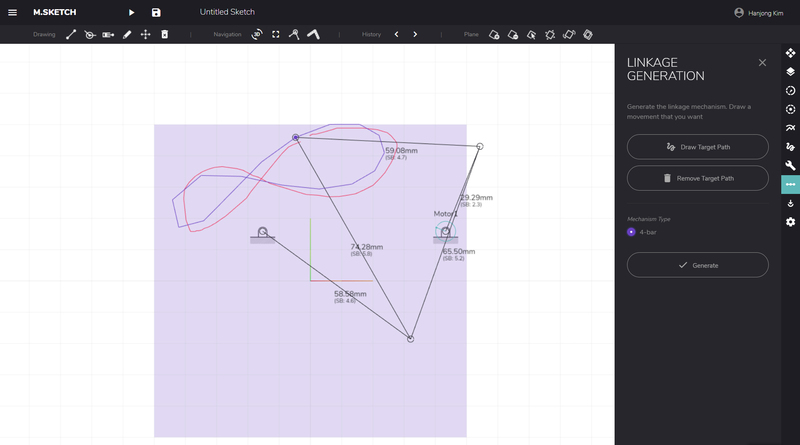 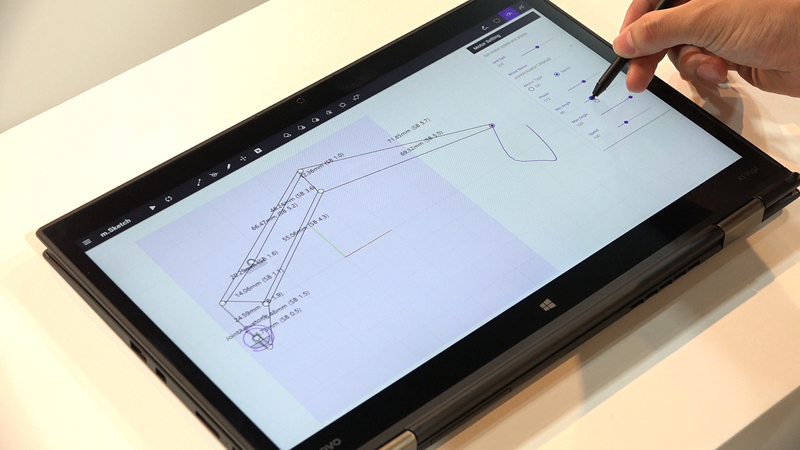 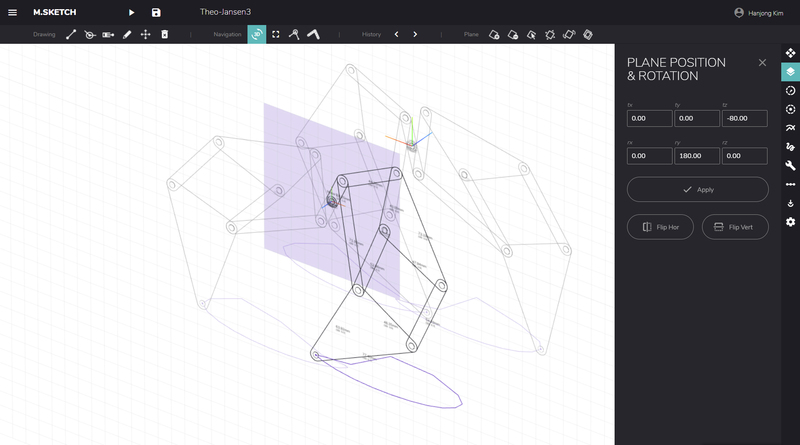 We present M.Sketch, a prototyping tool to support non-experts in designing and building a linkage-based mechanism. 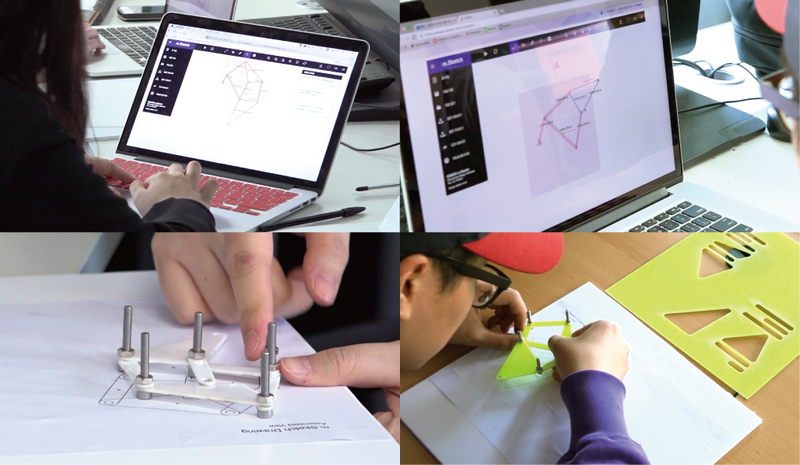 It enables users to rapidly create the mechanism by blending bottom-up (drawing linkages) and top-down (optimizing movement path) approaches. 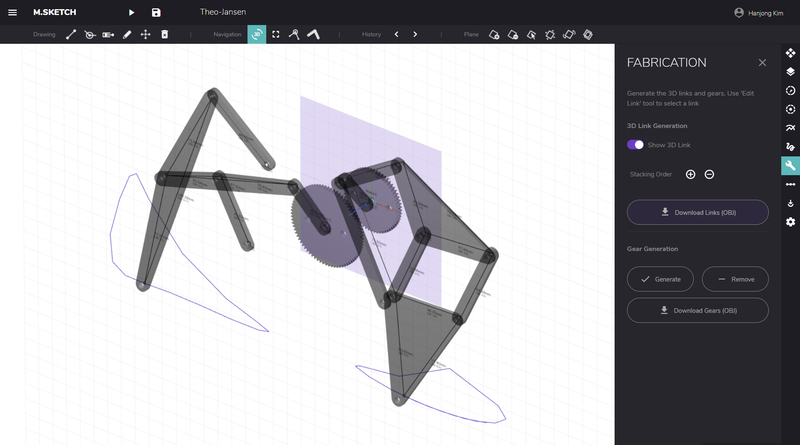 The resulting movement can be reviewed on the fly in a 3D space. 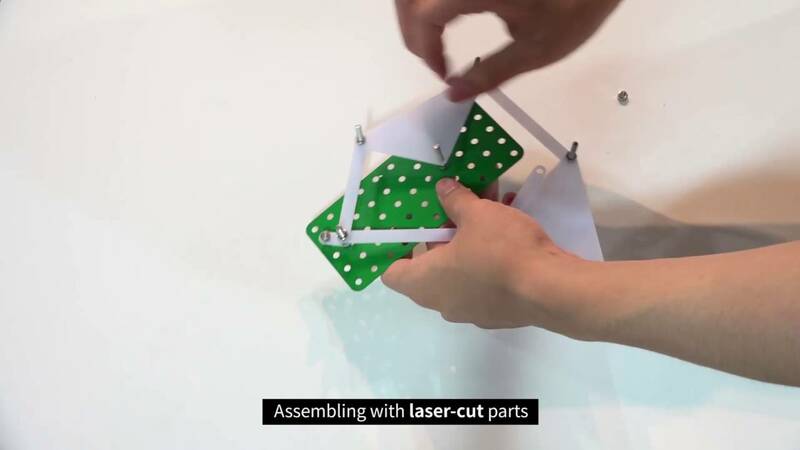 Functions for digital fabrication with laser cutting and modular kits allow users to easily and effectively transform the designed mechanism into a physical model. 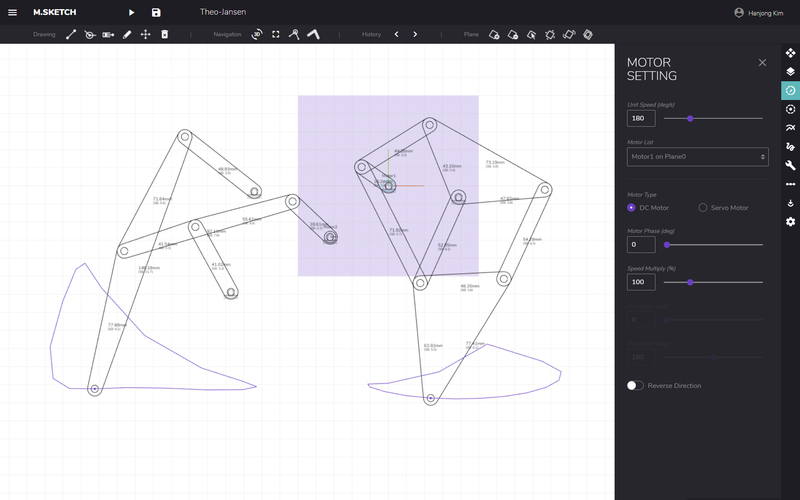 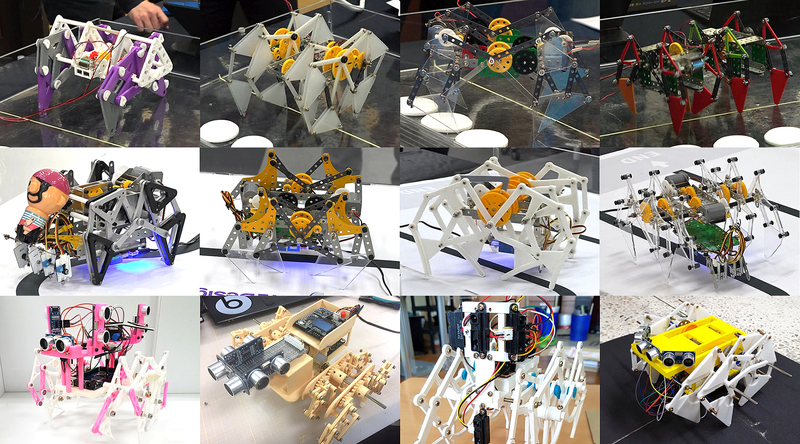 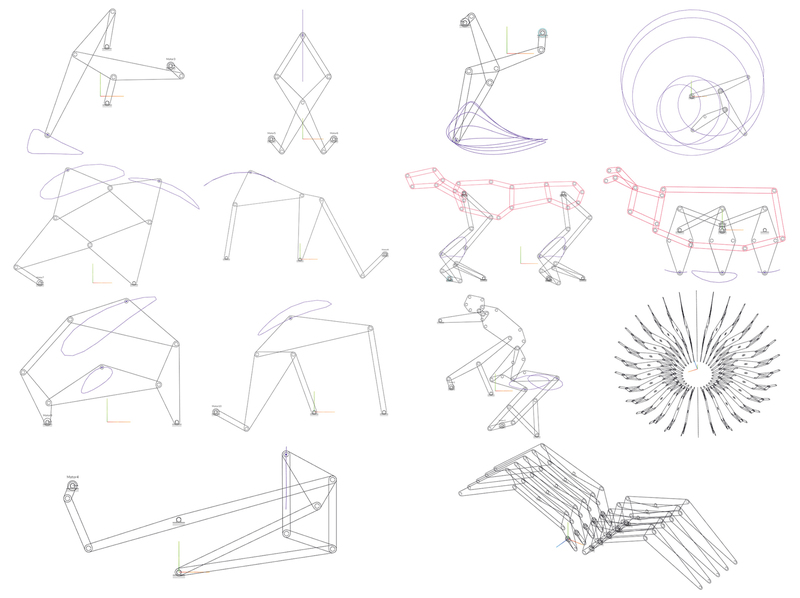 M.Sketch can be used for technical non-experts to prototype initial models of smart product, robots, toys, and kinetic sculptures.